The Mortzestus is reputed to be haunted but the crew dismisses the rumors as preposterous -- at first. Two weeks out of port the rigging suddenly goes slack, a ghostly form arises from the sea, and shadows thicken around the vessel. The frightened sailors, convinced that supernatural powers are afoot, plot mutiny and demand to be set ashore. But a dense mist descends around the ship, threatening to swallow the craft and its men without a trace. The desperate crew's chilling fate is recounted in this compulsive page-turner by William Hope Hodgson, a master of seafaring yarns. 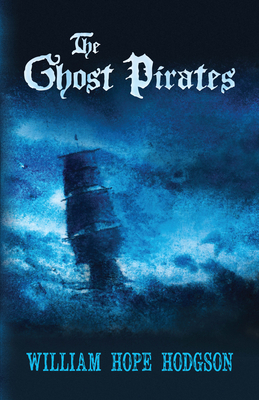 Rich in nautical language and lore, it combines an intriguing view of shipboard life with a suspenseful ghost story. Horror author Robert Weinberg noted the occult classic's compact prose style, hailing it as "one of the finest examples of the tightly written novel ever published." And no less an authority than H. P. Lovecraft observed, "With its command of maritime knowledge, and its clever selection of hints and incidents suggestive of latent horrors in nature, this book at times reaches enviable peaks of power. English author William Hope Hodgson (1877-1918) drew upon his experiences as a sailor to enliven his tales of the sea. Inspired by the stories of H. G. Wells and Edgar Allan Poe, he wrote works of horror, science fiction, and fantasy in addition to essays and poetry.